This Saturday Tobias Lindgren and I decided to try to get som order in the premise housing the UFO-Sweden book depository and exhibition. 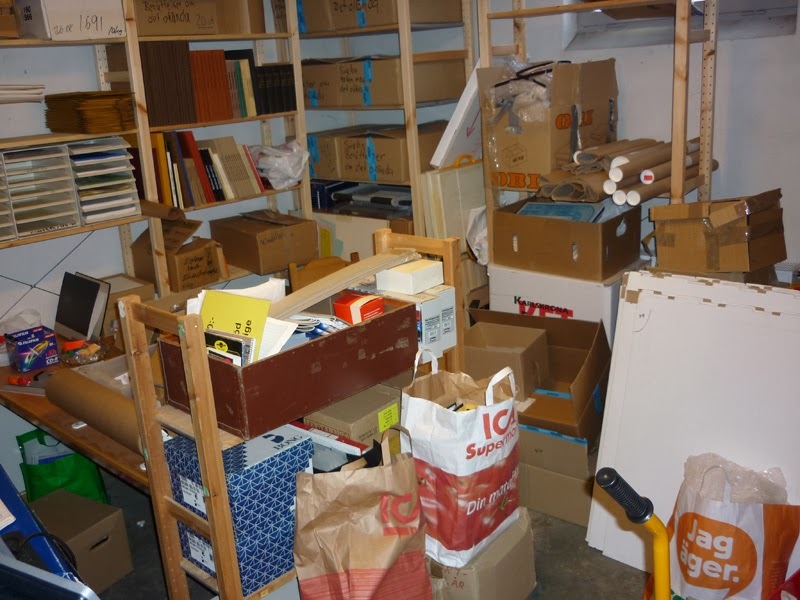 It´s been in a mess for a long time, functioning as a sort of dumping ground for all kinds of stuff and material belonging to the organization. 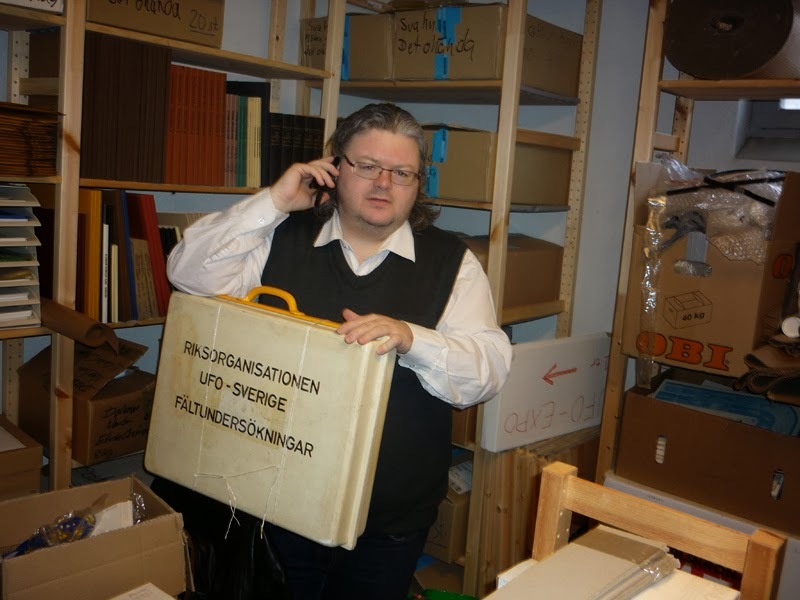 Tobias Lindgren is head of the UFO-Sweden report centre. One of the first items he found in the depository was the old bag used by field investigators in the 1980s with equipment then deemed necessary for active ufologists. And like a synchcronicity á la Carl Gustav Jung, Tobias´ cellphone rang just as he found the bag. A UFO witness called to report a sighting. The second report this Saturday. After several hours of hard work we finally succeeded in creating some basic order in the premise. Now it is possible to enter the depository without stumbling over boxes and various other paraphernalia. But it will take at least a couple of days more work to finish the job. Being an archivist sometimes implies non voluntary body building. 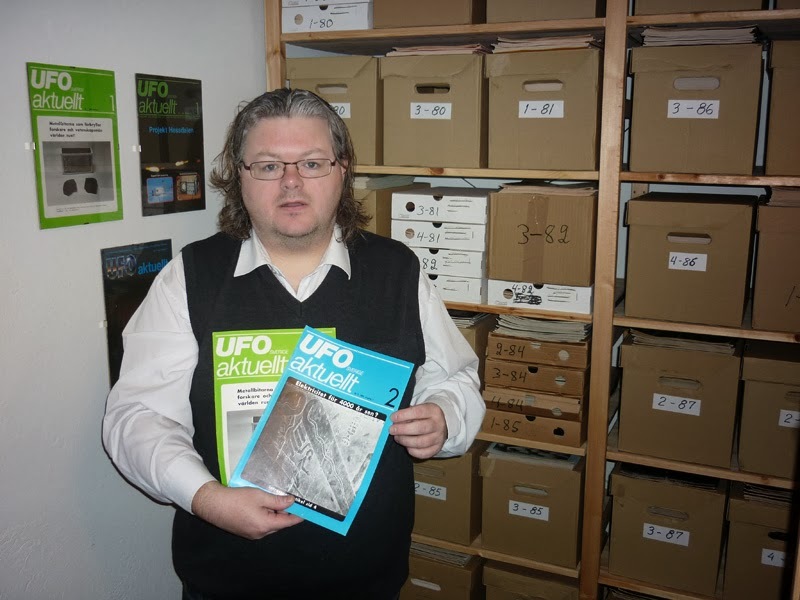 Next to the book depository is the UFO-Sweden inventory for old volumes of the magazine UFO-Aktuellt. 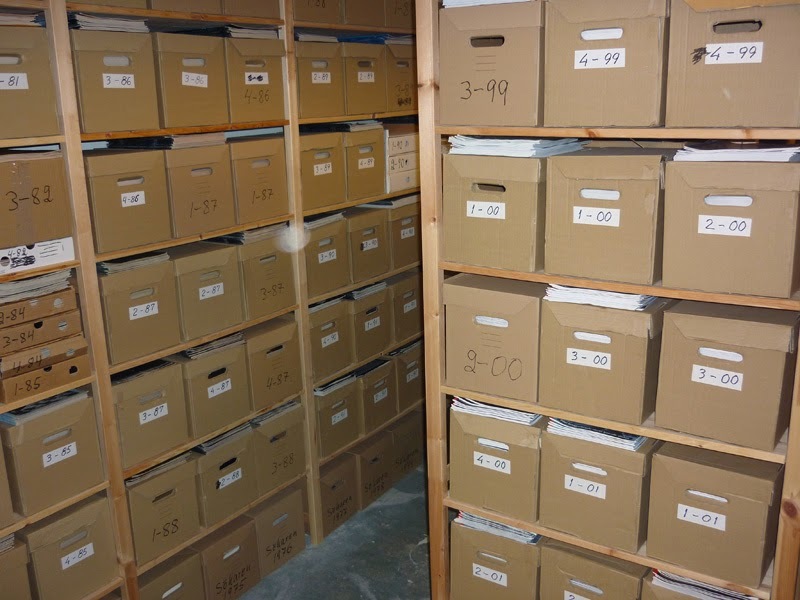 So far collectors have a chance to buy all the issues published from 1980 until today. 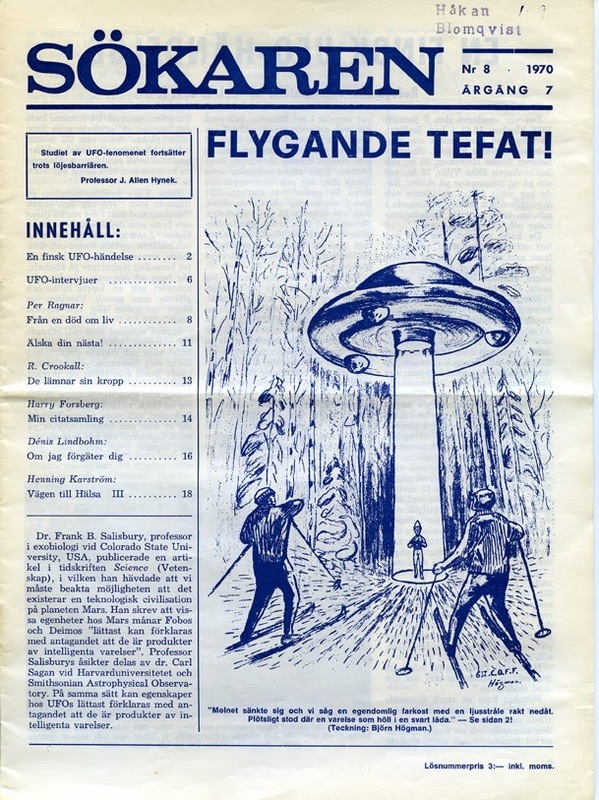 We also have surplus copies of UFO-Information, UFO-Sweden´s former magazine. Just send me an e-mail and I will forward your order to Sven-Olov Svensson at AFU. Many issues are almost sold out so if you are anxious to have a complete collection don´t hesitate to make an order. 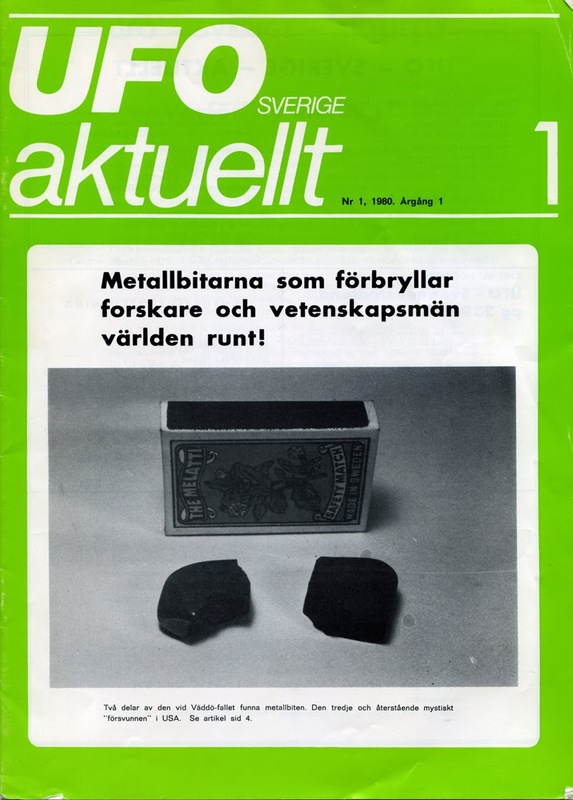 Besides old volumes of UFO-Aktuellt we also have an almost complete inventory of the unique Swedish magazine Sökaren, published between 1964-2008. 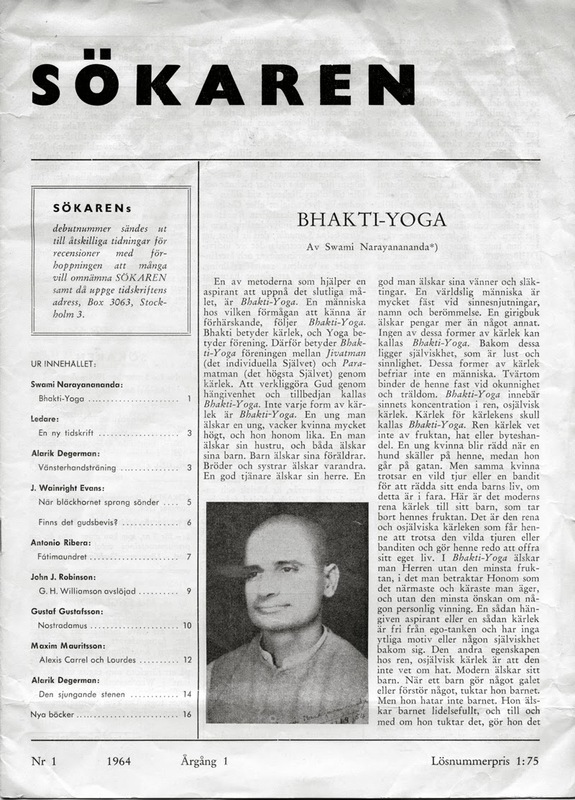 Sökaren was a magazine of unusual intellectual quality covering subjects like yoga, parapsychology, UFO, philosophy, religion, esotericism, new age, vegetarianism. 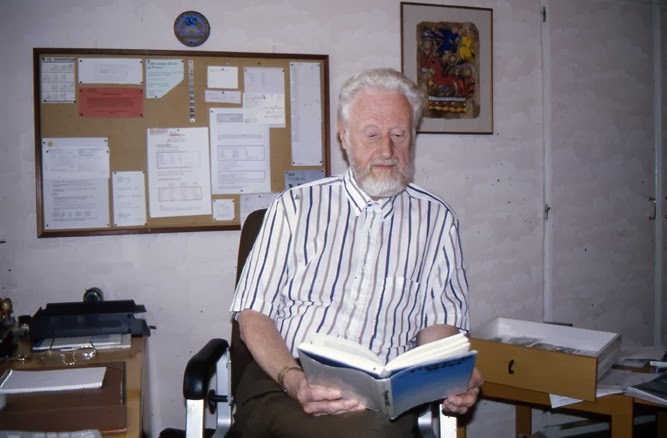 Editor during all these years was Sven Magnusson (1930-2008). He succeeded in engaging many proficient and well known writers in Sweden allowing both skeptics and believers to state their views. 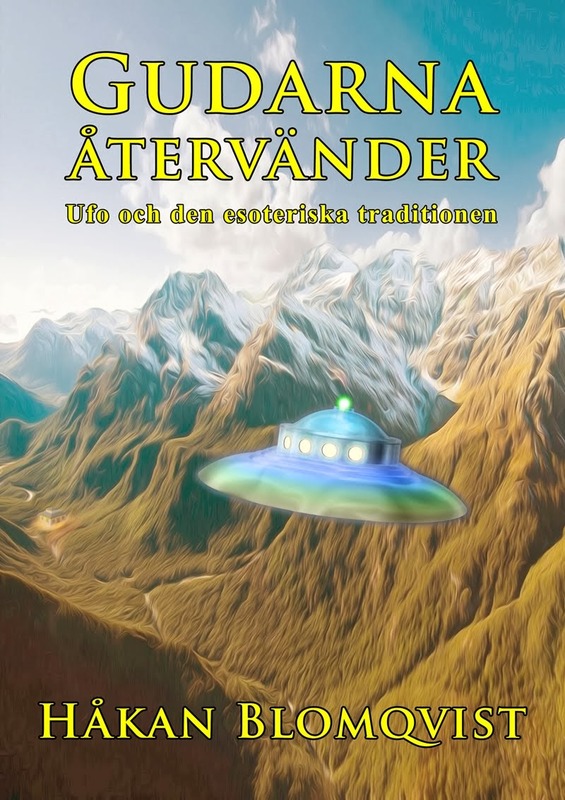 For anyone seriously interested in new religious movements, parapsychology, UFO and the spiritual underground milieu in Sweden in the late twentieth century Sökaren is an indispensable source of data. I admire Sven Magnusson for his tenacity in publishing this magazine almost single handed for more than forty years. An remarkable cultural achievement. 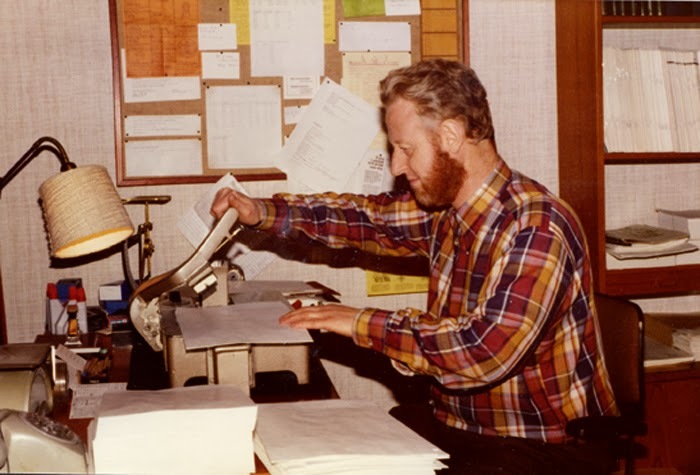 I was also fortunate in having Sven Magnusson as a good friend and writer collegue. Many of my earlier articles was published in Sökaren. Like myself he was also born in the beautiful city Karlstad. 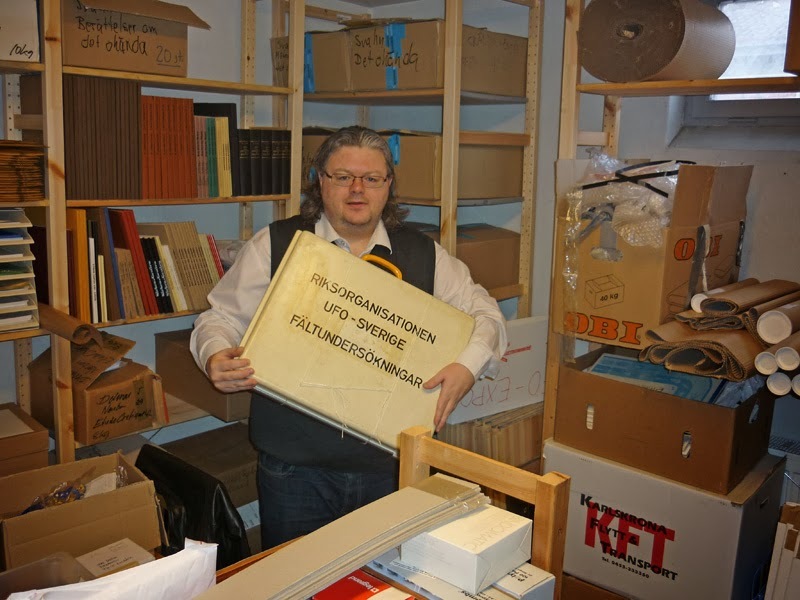 When Sven Magnusson died in 2008 he donated a lot of his material to AFU, including his large inventory of old volumes of his magazine. These volumes are now housed together with UFO-Aktuellt and so far most issues are still aviable if you wish to have a complete set of this fascinating magazine.